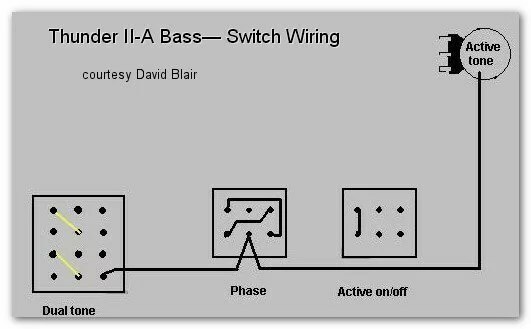 This wiring diagram is taken from a 1982 (Version 1) Thunder II active bass. 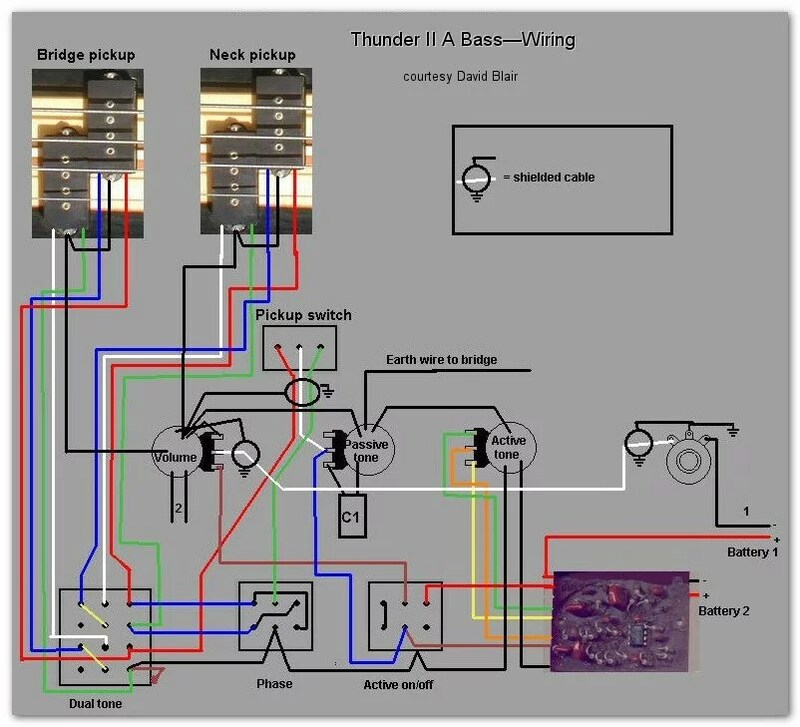 It should also be suitable for the version 2 Thunder II active bass, and the Thunder III. As far as we know the only difference between the circuits for these guitars is that the later models have a different pickup in the bridge position. 1 -This battery negative lead connects to the switched earth terminal on the jack socket, the power supply circuit is completed when a jack is inserted.